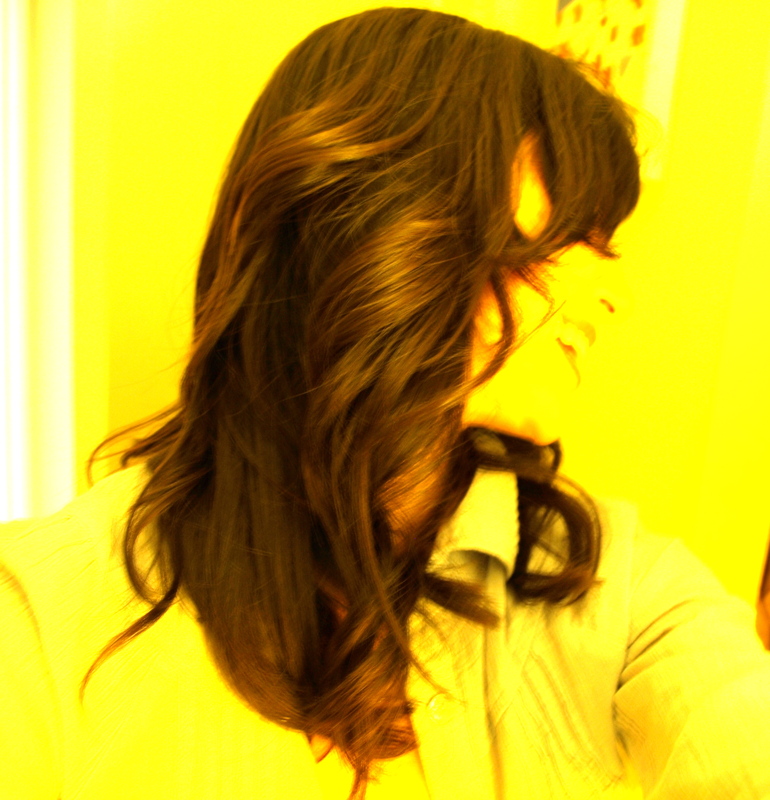 is what you get/feel when you visit the savvy, talented and insanely gorgeous Paul Norton, hairstylist extraordinaire. It’s also what you see when you meet him. Ah, I remember when I first met Paul. I was living in West Hollywood, and had finally found a gal that I loved who could cut hair. When she told me that she was leaving to move to Kansas and get married, I was crushed. She told me that she was handing off all her clients to another stylist at the salon- his name was Paul. I was very skeptical, but allowed him to cut my hair mainly because he was SO FREAKIN HOT. At the time he was about twenty-five years old and had a slight southern accent. He cut my hair and I thought it was decent, so when my 30th birthday rolled around in 2007, although I wasn’t totally convinced yet, I gave him full creative control. Little did I know that haircut would snare me a date with one of the most handsome actors in Hollywood. (I am being completely serious- I had 25 friends there as my witnesses!). I can confidently say, I one hundred percent attributed that prowess to the hair! From that point on, I knew I had the real deal. When I moved to the South Bay in 2008, I thought I could find someone down here. I hadn’t gotten a hair cut in eight months and needed a trim- badly. I arrived at a salon in Manhattan Beach and the gal took one look at my hair and said, “wow, whoever cut your hair last did an amazing job.” Pretty cool that his cut held after eight months, and a little scary that she was nervous that she would be able to do as well. At that point, I knew I could never leave Paul, and would have to drive my bum the 45 minutes to see him. On my latest visit, Paul mentioned that my hair was shinier- he asked if I was working out more- and I realized…. YOGA! He said head sweat actually makes your hair super shiny and healthy. Yay for Yoga- yet another benefit!!! Paul can be found at the Warren Tricomi Salon on Melrose in West Hollywood. He is also a regular on Access Hollywood. You can see his skill and handsome face in action here. If you want to catch him on TV, Paul will be featured as the hair stylist in a new show on TLC with Say Yes to the Dress phenom, Randy Fenoli, called Randy to the Rescue. Randy leaves the confines of Kleinfeld New York and takes his bridal eye on the road. Randy to the Rescue premieres June 15 on TLC. Paul will also be the stylist for a new Nigel Lythgoe show, Opening Act– on E! premiering July 9 at 10pm. The show searches You Tube for musical talent, surprises them with a makeover, then places them on stage as the opening act for artists like LMFAO, Brad Paisley, Gym Class Heroes, Jason Mraz and Jason Aldea.